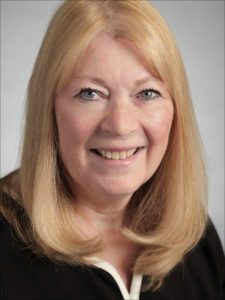 As the Society of American Business Editors and Writers (SABEW) endowed chair, MARTHA STEFFENS teaches business and financial journalism, economics for journalists, and entrepreneurial journalism. Steffens joined the faculty at Missouri in 2002 after a distinguished 30-year career in the news industry. In her outreach to journalists, she has organized more than 100 workshops for journalists in 28 countries. In the U.S. and Canada alone, Steffens has trained more than 500 journalists in understanding concepts from covering local business to reporting on U.S. financial markets, as well as personal finance and local economies. She was a visiting professor in business journalism at Moscow State University in 2004, which capped a multi-year outreach to Russian journalists, traveling thousands of miles in that country to promote independent media. Steffens next turned her attention to Middle Eastern journalists, conducting multiple training sessions in Bahrain, Kuwait and Qatar to ready journalists for their role in covering democratic elections. Steffens assisted Yemeni Journalists Society in writing an ethics code for media workers in that nation. In the Kingdom of Saudi Arabia, she led the first-ever training for women journalists. Steffens has also lectured extensively in China and Taiwan on topics ranging from business reporting to investigative research to curricula for journalism schools. In 2014, she will train economic journalists in Ethiopia, Kenya, the Republic of Georgia and India. In the U.S., Steffens had organized more than 50 workshops for business journalists through her work with SABEW, the leading organization of financial journalists in the world. She led a revision of SABEW’s ethics code in 2008, and helped revise it again in 2014. Steffens serves as one of two U.S. members on the executive board of the International Press Institute, a 60-year old press-freedom organization. For IPI, she has organized journalist training in Taiwan and Jordan. Steffens was also chief editor of the 2011 IPI Report: Media and Money, and the 2013 Report: Reflections on the Arab Spring. Prior to her academic career, Steffens was executive editor of the San Francisco Examiner, as well as the Press & Sun-Bulletin in Binghamton, New York. She also held editing posts at the Los Angeles Times, Orange County (Calif.) Register, Minneapolis Star, Dayton Daily News and Evansville (Ind.) Courier. A Boston Globe story singled her out as one of the most innovative women editors in the U.S. Her novel approach to involving communities in news coverage through civic journalism techniques has earned recognition from scholars worldwide. In 2013, Steffens received SABEW’s President’s Award for Distinguished Service, at the organizations 50th anniversary celebration. She is co-author of “Reporting Disaster on Deadline” (Routledge, 2012) and is sole author of “Dimension Reporting,” a writing primer to be published by Kendall Hunt in 2014. Steffens previously served on the advisory board of the Pew Center for Civic Journalism and as advisor for CBS MarketWatch. For two years, she was selected by the New York Stock Exchange to study market operations at the NYSE. She is a graduate of Indiana University’s Ernie Pyle School of Journalism. The SABEW Chair in Business and Financial Journalism is a joint effort by the Missouri School of Journalism and Society of American Business Editors and Writers to strengthen and promote the teaching of business journalism. SABEW is an organization of more than 3,400 dedicated business and financial writers and editors. Kent S. Collins, Martha Steffens, Esther Thorson, Lee Wilkins. Reporting Disaster on Deadline, Routledge, 2012. 144 pages.